Race you! 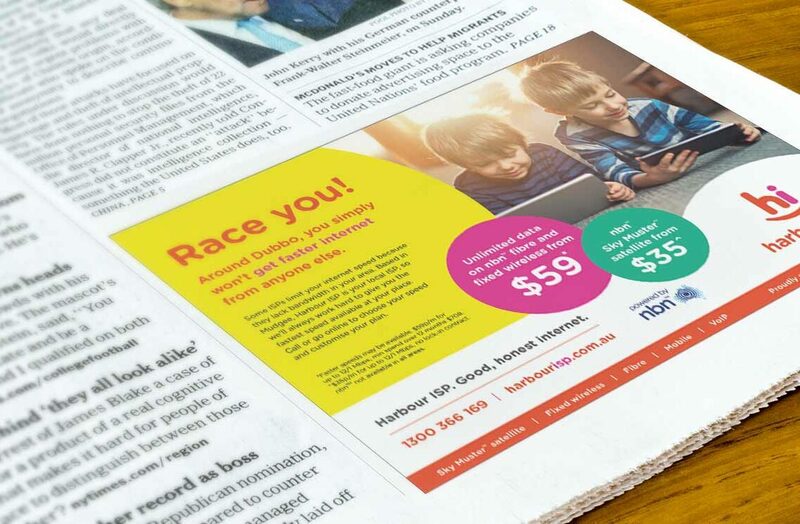 Integrated campaign puts Dubbo on the map for national nbn sales. A cross-channel, multi-touch campaign that really hit home. 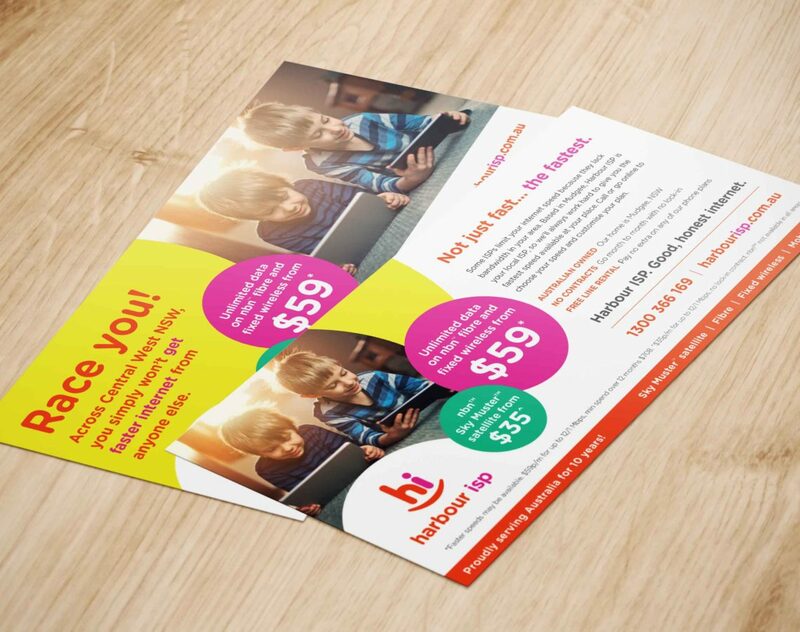 Harbour ISP leverages brand currency in satellite to grow market share across fixed wireless and fibre connections. Against the backdrop of success in the rural satellite internet market, Harbour ISP wanted to build on that platform and increase market share in other internet technologies such as fibre and fixed wireless across a specific geographical focus area. Central West New South Wales is home to 200,000 people and where you’ll find Mudgee, the birthplace of Harbour ISP. It’s also where owned infrastructure gives Harbour ISP the strongest service performance compared to other providers. 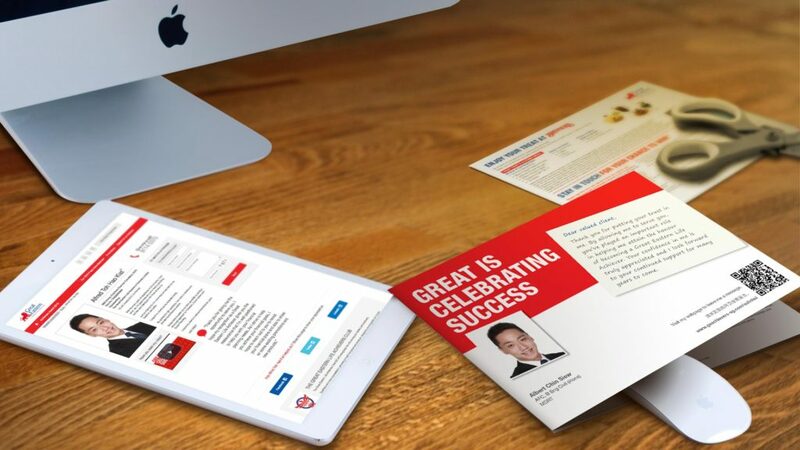 As a challenger brand in a growth phase, we recognised that Harbour ISP needed increased brand awareness and affinity, both online and offline. 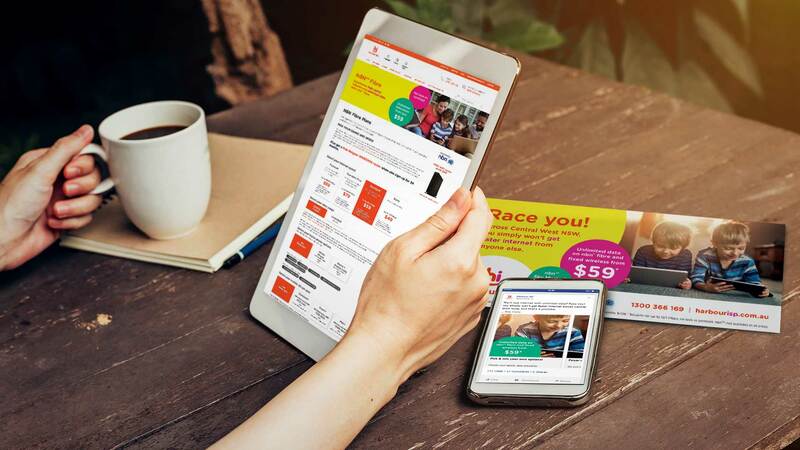 To increase awareness and multiply purchase intent, The Walk devised an integrated campaign to deliver a consistent message across various media to capture the attention of anyone in the market for a new internet plan. To leverage the advantage of owned infrastructure, the “Race you” concept subtly positioned Harbour ISP as able to deliver the fastest speeds in the area compared to the competition. 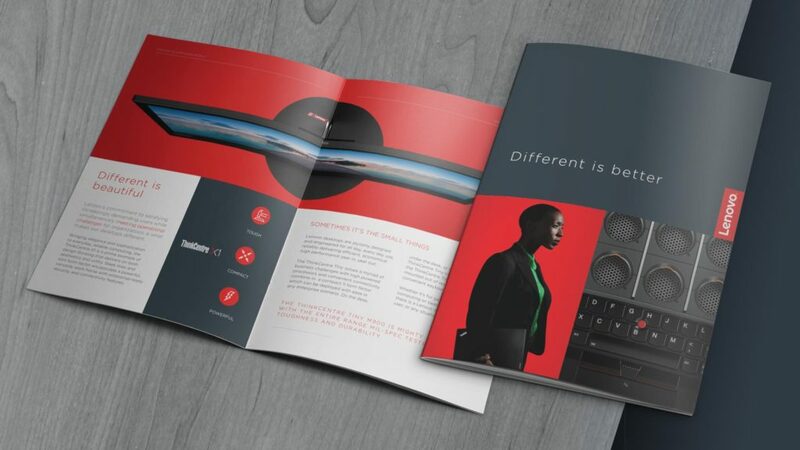 The integrated marketing campaign was executed and tracked across TV, radio, press advertising, direct mail, search and social. 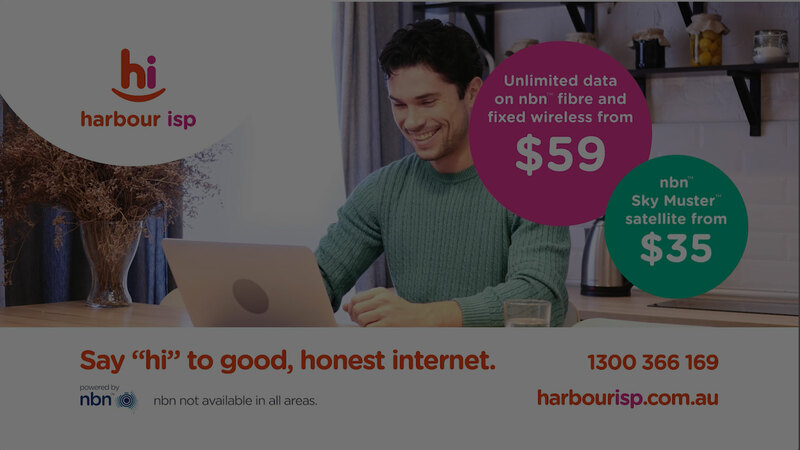 In a challenging environment for nbn™ sales, the campaign produced strong results, with this single geography delivering 42% of national fibre and fixed wireless sales for Harbour ISP over the course of the activity. Direct mail landed at eligible homes throughout Central West NSW. 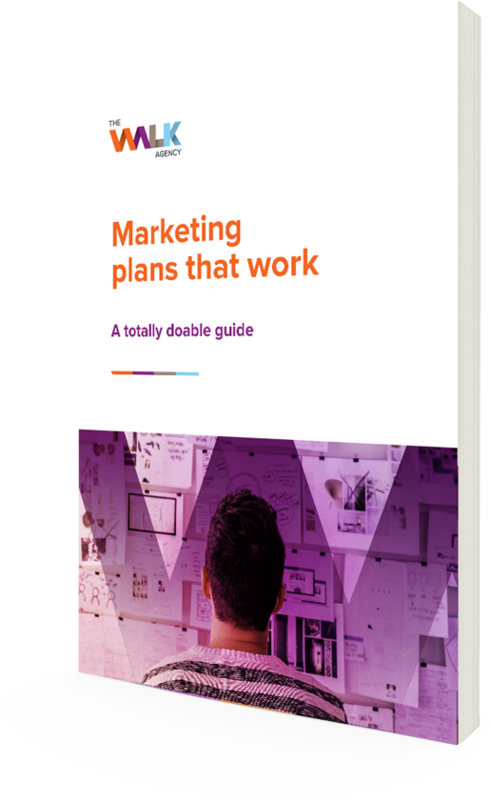 Looking for improved brand performance with more insights? 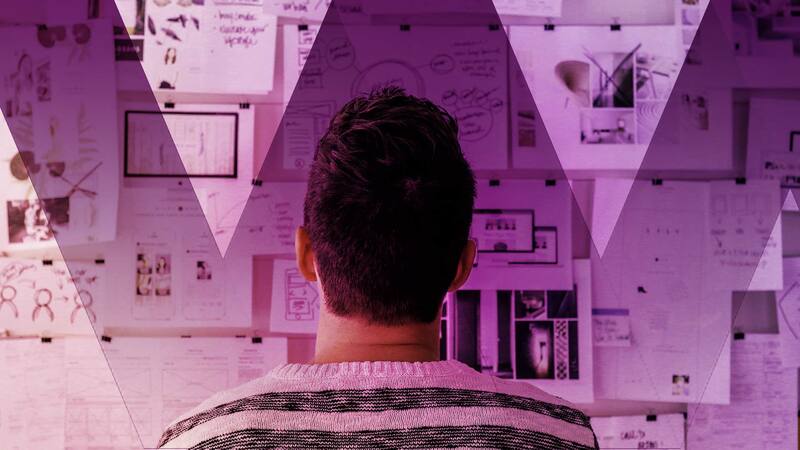 Integrated marketing with a consistent message across channels creates a powerful brand impression and increases both brand recall and purchase intent. As a performance-driven integrated marketing agency, at The Walk we can work not just to get your campaign in market through whatever channels will be most effective, but we’ll report and generate insights as to what worked best and what could be improved next time.